Please contact the owner directly @ 912-432-3901 or cjsk49er@gmail.com.2012 Tahoe Q4ss 18&#39; ski boat with only 8 hours on fresh water. Comes with custom trailer, custom cover, Bimini top, tube, ropes, vests, anchor, and many more accessories (well over $1000 in accessories not included from dealer). Original selling price was $28000. Due to two back surgeries and two knee surgeries, I have to sell. 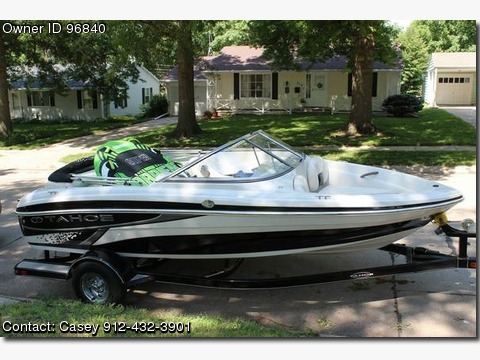 Take advantage of the upcoming boating season now and this great deal!! !